Headed out to Goat Rock Beach (again) to avoid the Sonoma County heat wave. Today reached 112° in Cloverdale. Beach was cool and very windy. 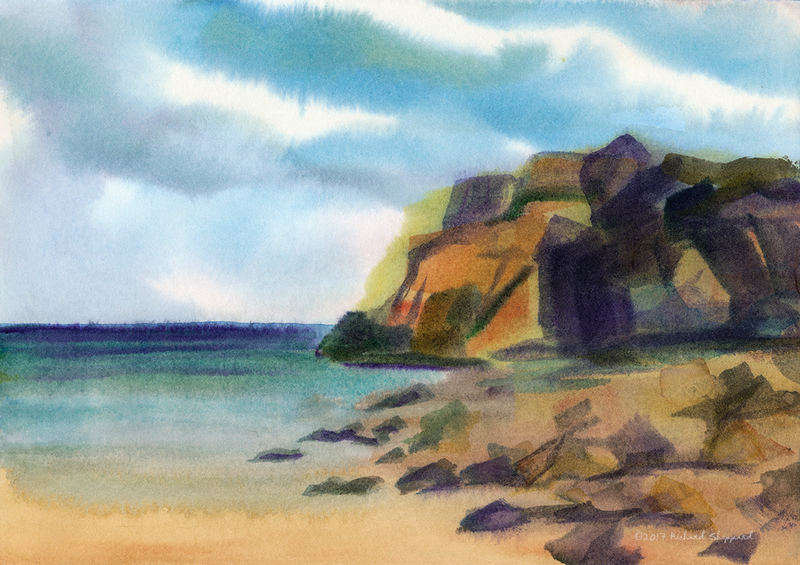 Had to seek shelter behind some rocks to avoid the gusts from blowing my painting supplies all over the beach. June 18, 2017 Richard SheppardComments are off for this post.